The printed decal measures 4 inches long (not including the alignment backing. Decal appears slightly gray because of the transfer backing. 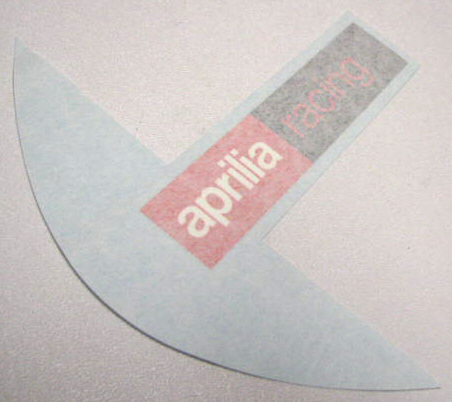 OEM Aprilia Racing Decal Direct from Aprilia, this decal is originally found on new Tuonos and RSVRs, but now you can put them on anything.